When booking our Labor Day weekend trip to Chicago (many moons ago now! ), Tom discovered that it would be much cheaper to fly home from Milwaukee in Wisconsin, just an hour’s train ride away from Chicago, on the Tuesday night. This meant that he had an extra day in Chicago for some business meetings, whilst I had a free day to see what Milwaukee had to offer (with the added bonus that visiting Wisconsin took me up to 25 states – half way through my quest to visit them all!). 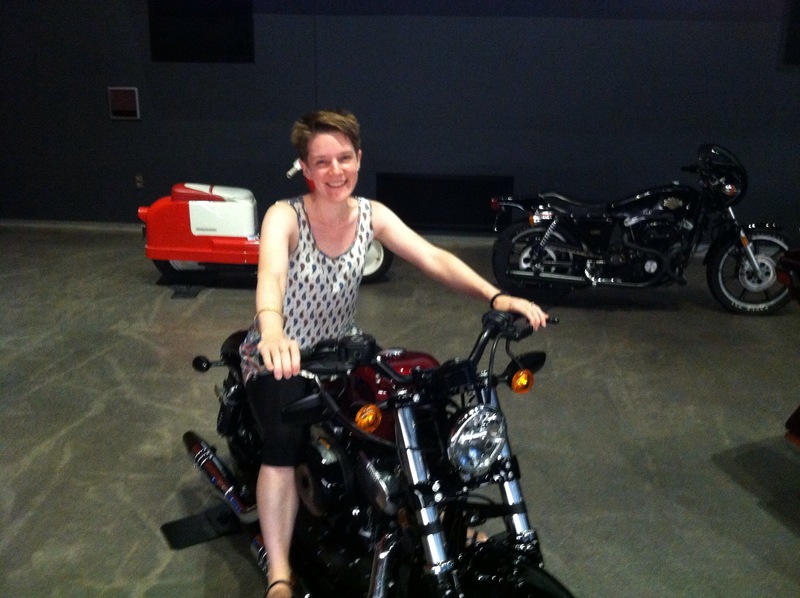 First stop was the Harley-Davidson museum. Learning to ride motorbikes is an as-yet-unfulfilled life goal of mine, and once upon a time a red 50cc Piaggio scooter was my pride and joy, so when I discovered that Milwaukee was where the H-D story began their museum jumped straight to the top of my list. As different models were designed and manufactured they kept an archive of all the various bikes produced, and I was completely thrilled to see this stored in the kind of rolling stack arrangement familiar to archives everywhere. In addition to the historical side of things, various other exhibits looked at elements of motorbike design throughout the 100+ years of the company’s history, and showcased some particularly spectacular examples of customisation. A 2017 Sportster Forty-Eight – yes please! Back out in the afternoon heat, I walked through a nicely landscaped area of industrial-buildings-turned-fancy apartments, before taking refuge in Stack’d Burger and devouring a well-needed lunch. 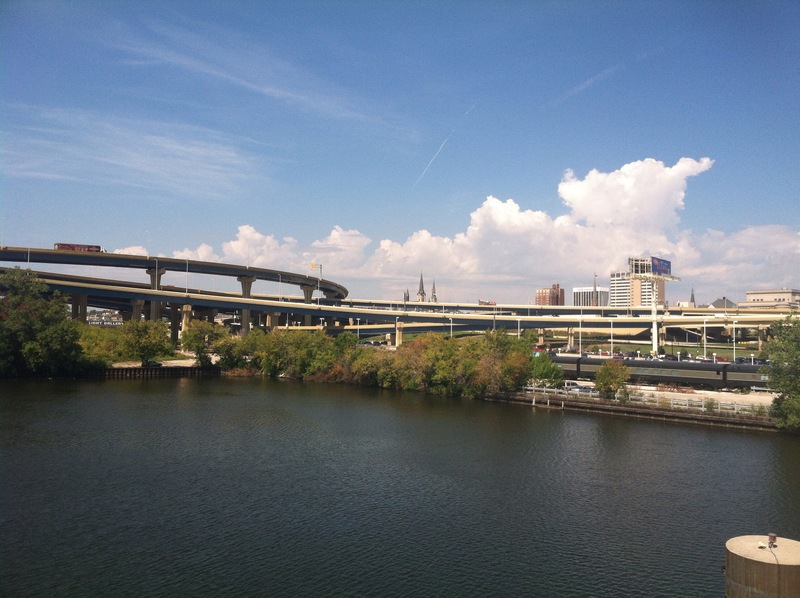 Suitably refreshed, I decided to wander across to what looked like a lakeside park en route to the Milwaukee Art Museum, and I quickly realised that downtown Milwaukee was configured with the car in mind. Blocks of attractive buildings (in some cases quite historic) were interspersed with less pleasant sections, and it turned out that what I’d taken to be a park was actually some sort of fenced-in showground. Fortunately the museum wasn’t too far away, and it was worth the trip for the Calatrava-designed building alone (although sadly I wasn’t there at the right time to see the “wings” being raised or lowered). The collection itself was quite impressive too, once I’d worked out how to navigate around it, and I liked the way the galleries were demarcated with different coloured paint for works of different time periods – much more visually engaging than the common all-white approach, and in many cases more flattering to the works themselves. I decided to walk back to the station through what looked like the centre of town, and this was another odd progression of mismatched architectural styles and wildly varying atmospheres – almost every block had its own character, and they were not large blocks. The final approach to the station was across several lanes of traffic beneath flyovers carrying yet more traffic, and I was pleased it was still broad daylight. I would happily go back to Milwaukee, and I hear other places in Wisconsin are well worth visiting too, but next time I’ll definitely come by car. 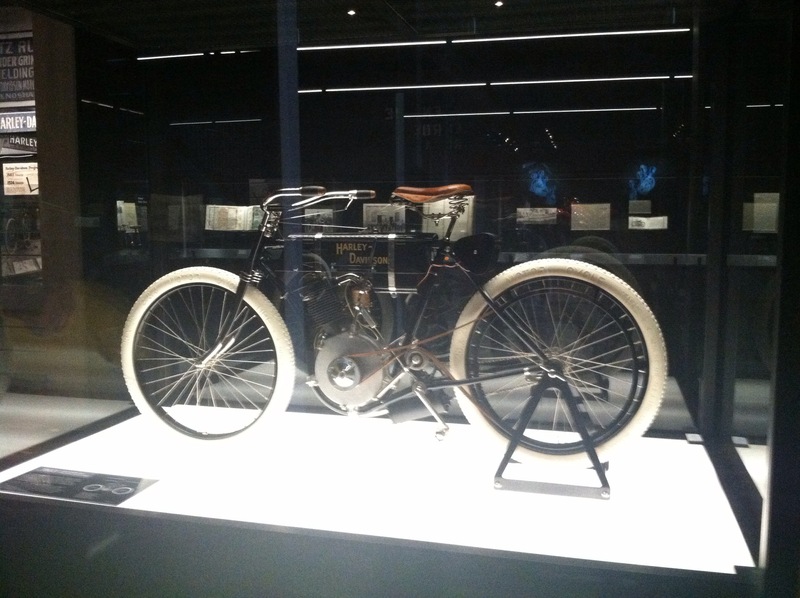 This entry was posted in Museums/galleries, Travel and tagged art, gluten free food, Harley-Davidson, Milwaukee, motorbikes, museums, Wisonsin by Emma Davidson. Bookmark the permalink.